Chicago, IL—In the Windy city where corruption in the courts has been a way of life, cameras have been precluded for at least 70 years. I’m not sure the camera prohibition is related to judicial corruption but the prohibition does have advantages that are conducive to fairness. There are pictures of Al Capone inside a courtroom a 2600 S. California Avenue. There was movie and still pictures taken during the sensational Nathan Leopold and Richard Loeb murder trial also in that era. It was sometime later when cameras were eventually outlawed. Transparency dictates open government and court proceedings be public except in rare cases and to protect juveniles. The public cannot be excluded from courtrooms unless they are witnesses that have not yet testified in the case before the court. That important prohibition is to prevent witnesses from influencing each other during trials or hearings. The real harm with bringing cameras into courtrooms is when justice is reduced to cheap entertainment. The most horrific examples of televised trials gone wrong was the O.J Simpson murder trial and then later in the murder trial of Scott Peterson. The Romans showcased crime and punishment in their coliseum. Blood thirsty crowds over-filled this venue for the shockingly ghoulish public slaughter of people whose crime was that of being Christian. Adolph Hitler and his propaganda minister Josef Goebbels made sure that the People’s Court of The Third Reich was shown on newsreels in every movie house in Germany. The German people could watch Nazi Judge Roland Frisler holding a show trial where he tried, convicted and sentenced 16 year-old boy scout, Helmuth Hübener to the guillotine. 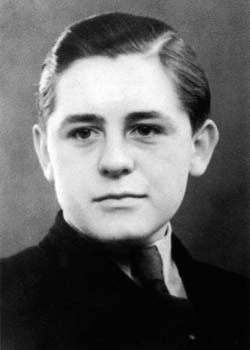 Young Hübener’s capital conviction was for daring to pass out anti-Hitler leaflets in Hamburg. The Hübener lad was just one of 5,000 German men and women known to have been murdered under the color of law for resting National Socialism. We must not let American courts degenerate into a most garish form of entertainment for the idle. We simply can't allow courts to be used for propaganda or to terrorize the population. On the other hand the courts are public and should always remain open for the public to observe. 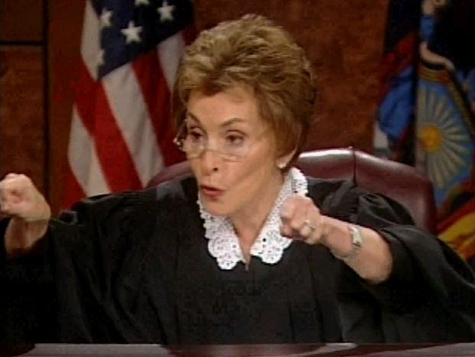 If there is a TV show I loathe more than any other in the history of television it’d the Judge Judy Show. Yes, her cases are of little consequence but none the less the show reduces our court to the status of a third rate circus. As for the unbridled horror of the Helmuth Hübener story, a movie is being filmed in Germany right now with, Haley Joel Osment playing the lead character. Sounds like the WWII atrocities committed by thousands of low life in the Red Army after it overran Eastern Prussia. My mother told me how her one aunt was raped 23 times in a row by red soldiers, obviously this aunt never married. Over 2 million German civilians died under Red Army atrocities back then, the exact figure unable to be established due to war conditions but also due to suppression of this uncomfortable truth.